You must be a member of the Munich Self-Discovery Group to attend this activity. Would you like to join this group? REFERENCE: YOUR NAME + February Workshop. Maximum number of attendees: 20. The first 20 people to make the payment will be accepted for the Workshop. I will share with you in the activity's comments the name of the members that have already paid on a daily basis. Are you willing to learn more about yourself? 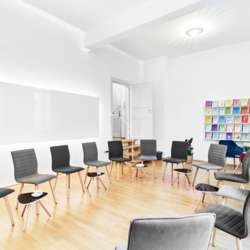 Would you like to learn attitudes that will help you live a happier daily life as an expat/local in Munich? Come and participate in a 4-hour dynamic workshop in which we will be able to learn, explore, play and commit to a way of living a happier life. I can assure you it will be fun, enriching and inspiring! It will be required from you to be: participative, open and pro-active.